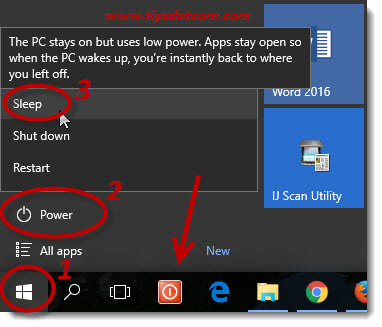 Placing a Windows 10 sleep mode shortcut on your desktop or taskbar can help you to squeeze more battery hours out of your laptop. Or, if you’re working with a desktop computer, you can use it to put the computer in a standby state with one click of your mouse whenever you’re taking a break. Windows 10 sleep mode has the advantage that your computer can resume faster to your last working state when compared to a complete system shutdown. Indeed, sleep mode will put your computer in an energy-saving state while preserving your current working environment, complete with open documents and active program windows. This allows you to quickly resume where you left off when you “wake up” your computer. Windows 10 already has a sleep mode “icon” on the start menu so you might be wondering why you would need an extra desktop (or taskbar) shortcut. The truth is, you don’t *need* another Windows 10 sleep mode shortcut, but being able to invoke sleep mode with one single click on a taskbar icon that’s always sitting there within reach simply “smoothyfies” the process. In the image below you can see how you would normally have to click the Windows start button (1), then click the power item (2) and then select “sleep” from the menu (3) in order to make your computer go to sleep. Being able to do the same in one single click is just a tiny bit nicer plus you avoid accidently clicking the wrong menu item (“shutdown” is just right below “sleep” in the start menu) and the frustration that comes with it. 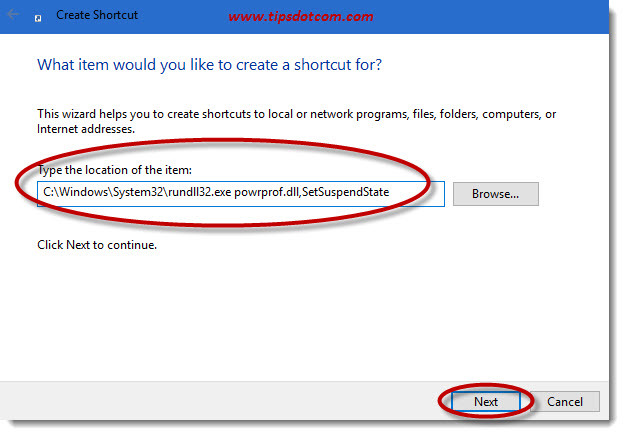 Ok so let’s take a look at how you can create your own sleep mode shortcut. 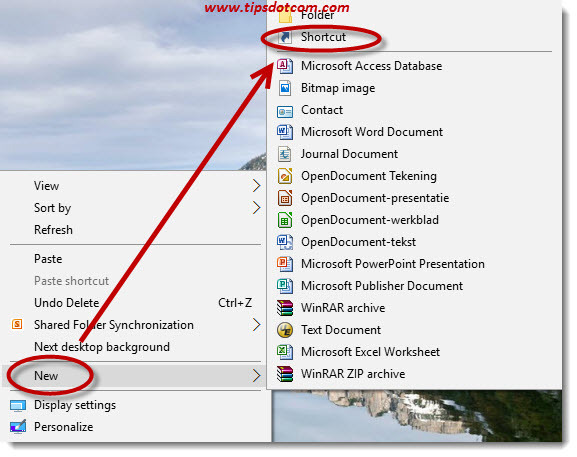 To get started, right-click with your mouse on an empty spot on your desktop and select “new” and then “shortcut”. 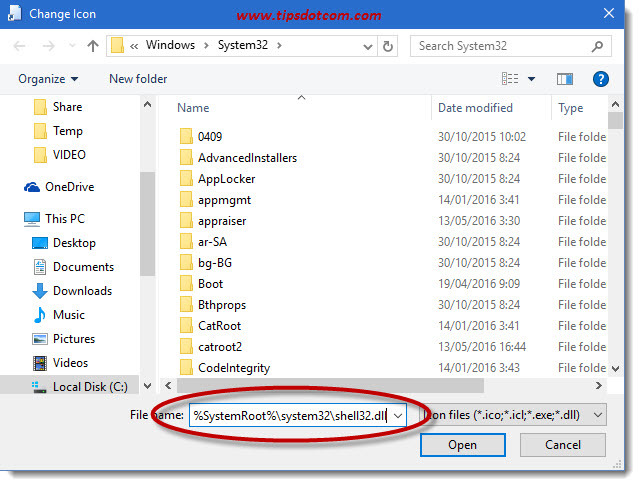 Windows will then come with the “Create shortcut” dialog, in which you enter the following line, exactly as shown in the image (you can copy the text below the image and paste that in your dialog input box). 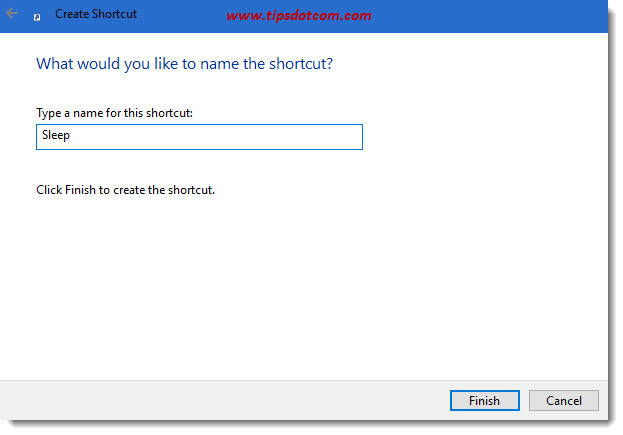 Now Windows will want you to enter a name for the shortcut. Enter “Sleep” or whatever you feel describes your new shortcut best and click finish. 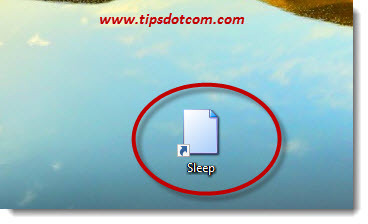 You’ll now have a new sleep shortcut icon sitting on your desktop, but it might look a bit boring. Let’s try and find a more suitable icon for your new Windows 10 sleep mode shortcut. Right-click on the icon and select “Properties” from the menu. In the properties dialog box of your sleep shortcut, click the “Change icon” button to go to the icon properties. 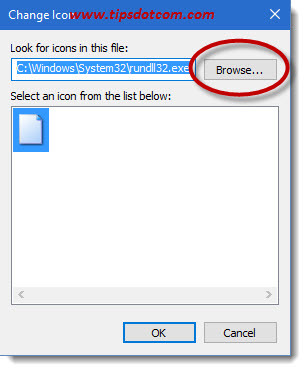 In the icon properties dialog box, click the browse button to proceed. 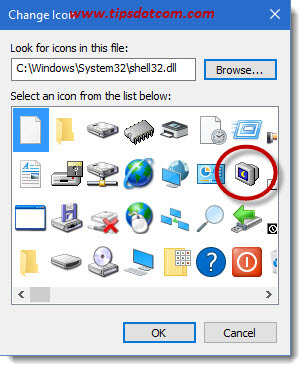 Select an icon to represent your Windows 10 sleep mode shortcut from the list and click ok. Click ok a second time to close the icon properties window. Your icon will now look better than the default, blank new icon image that was originally selected. 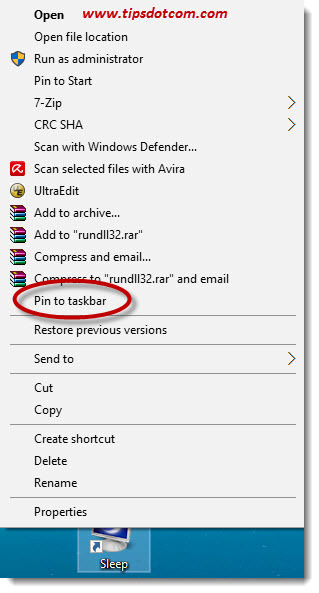 You can finish your work by right-clicking your new sleep icon and selecting “Pin to taskbar” from the menu. 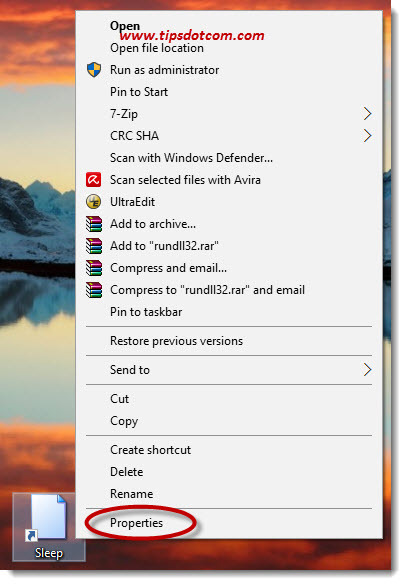 Now you’ll have your own Windows 10 sleep mode shortcut on your taskbar which you can use to put your computer in sleep mode with one click of the mouse. 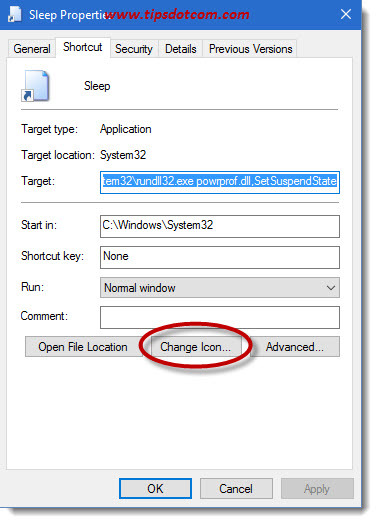 Depending on your settings you may find that your sleep mode shortcut causes your computer to go in hibernation mode rather than into sleep mode. That should do the trick and now your sleep shortcut should work properly!